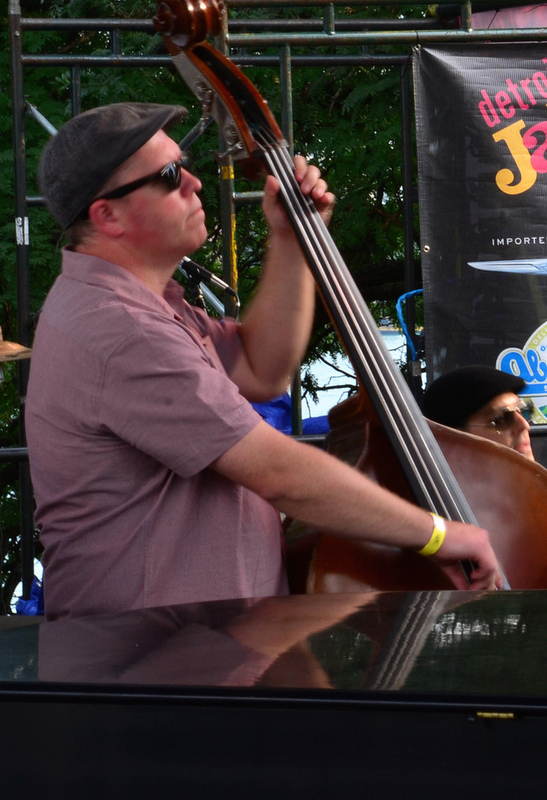 Patrick Prouty is a veteran bassist/composer from Detroit. In 1997, he earned the bass chair with legendary blues guitarist Johnnie Bassett. With Johnnie Bassett, Patrick toured the U.S., played his first gigs in Europe and got to work with pianist/organist Bill Heid. As Patrick’s profile as a bassist grew, he became interested in writing and arranging music. Along with his duties as a bassist, he began to write for many of the groups he was working with. He became the musical director of the Lucky Strike Swing Orchestra in 2001 and continues to write and arrange music for this eight piece group. In 2000, the Patrick Prouty Trio was formed as a vehicle to play Patrick’s own original music. The trio started working whenever Patrick was free from his duties as a sideman in the many groups he was playing with. With Bettye Lavette, Patrick toured relentlessly in the U.S. and made 24 European tours playing some of the most prestigious festivals all over the world including Bonaroo and the North Sea Jazz Festival. In September of 2006, Patrick took his own working group, now a quartet, into Big Sky Studios in Ann Arbor to record nine of his original compositions. This session produced his first cd as a leader, The Charmed Life. Feeling the urge to lead his own group and play his own compositions, he left Bettye Lavette in October of 2007 to pursue his own career as a band leader. The Charmed Life was released in October of 2007 to rave reviews and won a Detroit Music Award for Best Jazz Recording in 2008. New American Daydream, Patrick’s fourth CD as a leader was released in November 2012 earned the Detroit Music Award for Best Jazz Recording.